The conscience of law is plural: it is the ‘conscience of mankind’ that is shocked at the International Criminal Court in the Hague, it has also been the ‘conscience of the king’ that was pricked in the courts of chancery, or the conscience of the jury in the domestic courts of common law that will issue in the judgment of one’s peers. But courts also present a spatial experience of the interior – whether that is the Gothic castle of Blackstone or the “Carven pillar and keystone sing, but the song is the song of the arch they hold and bind” of Karl Llewellyn or the forensic speech of the rhetoricians. 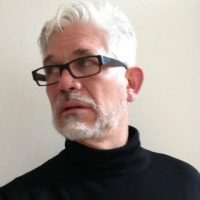 Peter Rush’s research studies the interior forums of law in the architecture of contemporary courts, especially those built since the late 1980s. Its focus is on the thresholds and folds through which a spatial experience emerges and is given form as law. Its interests are manifold: the doors, facades and glass (at once transparent, compressed and etched) that mediate relations of nature and culture, civitas and urbs, inside and out; the circulation of air and people down corridors, as well as by way of the ubiquitous atrium; the colours of light and gold (the European Court speaks of gold as the colour of justice); the decorative detail and artworks, which are more than just ornament but open onto an other scene. All these provide modes of enunciation, places of material and human speech, techniques of law that embody relations of law.